A bench headed by Chief Justice Dipak Misra passed the directions on a plea moved by the boy's father challenging the extension of the interim protection from arrest granted to the three trustees. 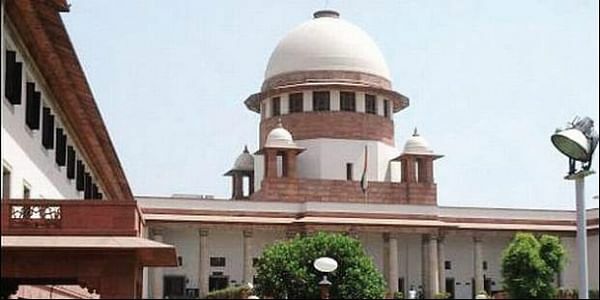 NEW DELHI: The Supreme Court today asked the Punjab and Haryana High Court to decide in ten days the anticipatory bail pleas of three Ryan International Group trustees in a case in which a seven-year-old boy was found dead in the group's Gurgaon-based school. "We request the high court to decide the plea within ten days from hence," the bench, which also comprised Justices A M Khanwilkar and D Y Chandrachud, said. Advocate Sushil Tekriwal, appearing for Barun Chandra Thakur, the father of victim Pradhuman Thakur, submitted that the high court had kept the matter pending for long. Thakur had assailed the high court's order granting interim protection to Ryan group CEO Ryan Pinto and his parents, Augustine Pinto and Grace Pinto, in the case. He had alleged that grant of interim protection against their possible arrest was "illegal and unconstitutional". It had sought setting aside of the September 28 order of high court granting them interim protection and the October 7 order, which had extended the relief. Ryan Pinto and his parents had approached the high court, seeking anticipatory bail in connection with the killing of the class 2 student, who was found with his throat slit in the washroom of a school run by their group on September 8. School bus conductor Ashok Kumar was arrested in connection with the crime. The Haryana government had recommended a CBI probe in the matter following massive outrage. The premier agency took over the probe on September 22. The Pintos, who are based in Mumbai, had earlier approached the Bombay High Court as they apprehended arrest in the case after the school was accused of negligence in death of the seven-year-old boy. The Bombay High Court had rejected their transit anticipatory bail plea but granted them interim protection from arrest for a day to enable them to approach the Punjab and Haryana High Court.